Minutes to the golden beaches of our superb coastline and directly opposite lovely proposed park. 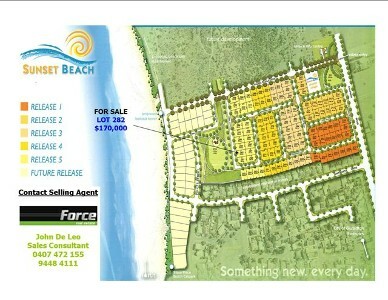 This prime block of land in beautiful Sunset Beach is super buying. 5 min to Geraldton city, this is a unique lifestyle & one not to be missed!! For more information call John De Leo 0407 472 155.